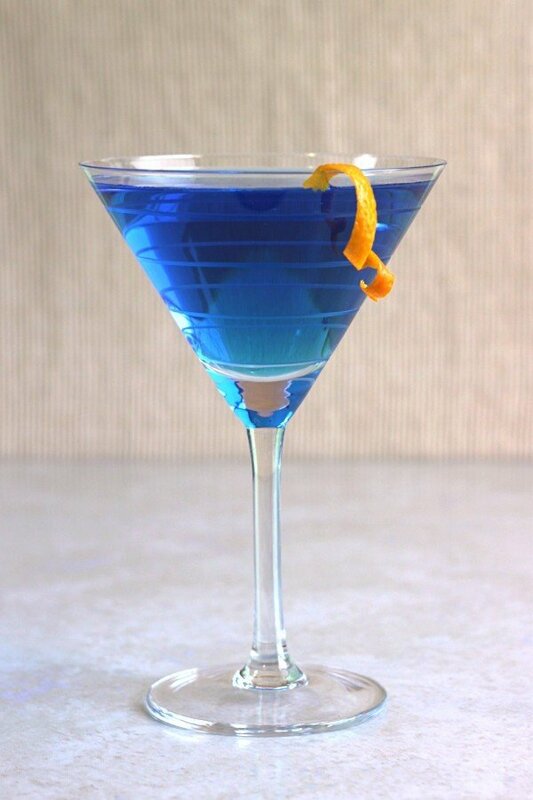 Because it’s Monday, and even good Mondays can be kind of blue, the timing is perfect to feature the Blue Monday cocktail. 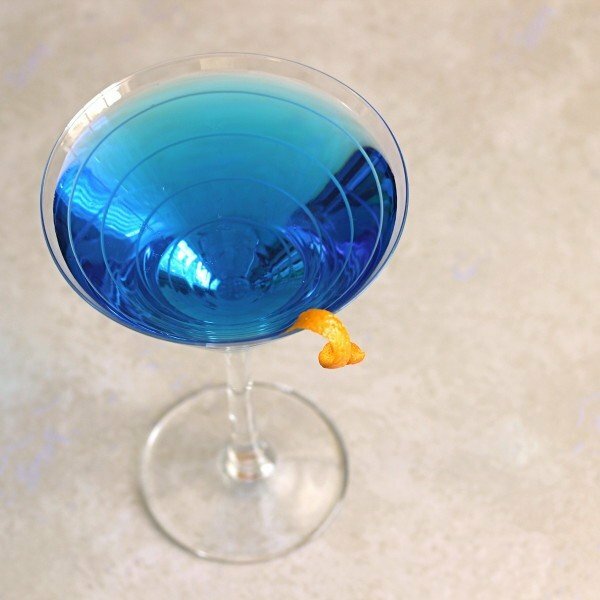 This is one of those really simple cocktail recipes that even beginners can put together perfectly – that’s important when it’s Monday and/or you’re blue! The last thing you want is a pick me up that makes you feel inept before you even get to taste it. It’s also got a very simple flavor (orange) that tends to agree with everyone. This is an ideal cocktail for pre-mixing in a pitcher. Shake with ice, strain into a martini glass. You can garnish it with an orange wheel or peel for color contrast, and to signal visually that the flavor of the drink will mainly be orange. The color would definitely work… but raspberry and orange? Maybe. Hmm.